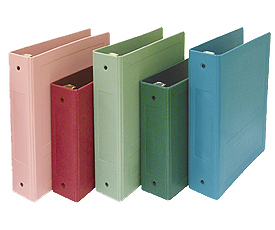 Open Top heavy-duty 2" molded chart ring binder. Designed with a twin hinge system to prevent tearing due to excessive opening and closing. Standard three (3) rings or five (5) rings.